Could rain gardens be one solution to the floods in Singapore? It is not unusual for large cities to flood as a result of severe weather, we have seen this in New York, Melbourne, Tokyo, Bangkok, and Mumbai. With climate change, it seems like unpredictable weather is here to stay and mitigation of storm water and floods is what we need to focus on. Some countries are trying out different methods to counter these floods. The Japanese government for example, built an underground pump station and a network of underground tunnels that cost approximately US$2.9bn, their land ministry has called it the world’s largest solution to flooding. Measuring 3.7 miles, this network of underground tunnels can channel water volumes of up to five Olympic-sized swimming pools a minute. But not every country has the space or resources to build an underground pump station, and perhaps the solution lies in a more low tech method that can be quick and easy to implement. Melbourne’s water department, Melbourne Water, decided to go the way of building rain gardens, encouraging residents to do the same. Today they have 10,144 registered rain gardens from their campaigning efforts. 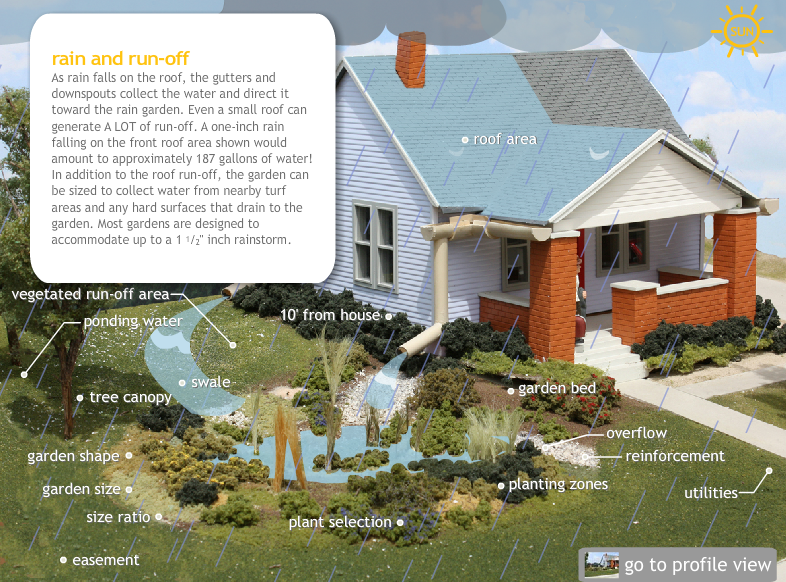 Rain gardens are landscaped areas that absorb rain water run off from impervious surfaces (including compacted lawns), replenishing ground water along the way. Other than being aesthetically pleasing, these gardens allow this water to soak into the ground, averting issues of soil erosion, and plants help to filter sediments and pollutants. Furthermore, these plants could attract butterflies, birds and bees. 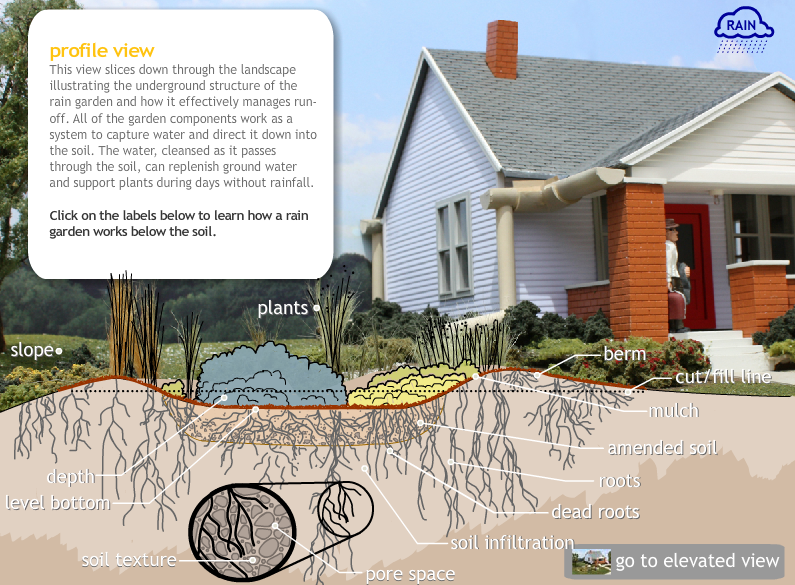 Melbourne Water also created this informative video on how to build a rain garden on a microsite dedicated to rain gardens. For more detailed information, Clear Choices Clean Water is another excellent resource. Parts of the United States and United Kingdom have also introduced this concept. To see one in action in Singapore, one can visit the Lower Seletar Reservoir. On top of this initiative, the City of Melbourne is currently building a stormwater harvesting system in the historic Fitzroy Gardens, using underground tanks with a capacity of five megalitres using biofiltration (view video here, scroll down to “A Catchment Solution”). London’s way of managing its floods consists of two enormous, moveable flood barriers at the Thames River and Barking Creek, but also through greenscaping. The Victoria Business Improvement District has communicated plans to introduce a further 25 hectares of green roofs and gardens annually. As the Singapore government works on expanding the capacities of several canals, perhaps one way forward is to dot the country with a multitude of rain gardens, and many more green roofs. We also need to assess how much development is necessary for Singapore before we lose many more natural catchment areas. We certainly need to work with nature on this one. Images taken from Clear Choices Clean Water and Hannaford. This post originally appeared here.